Keeping the kiddos hydrated is just as important at school as it is while they are at home. My daughter's school has actually installed water fountains that are made specifically for refilling water bottles. This allows kids to take a water bottle to class with them and be able to drink through out the day instead of just during lunch or the occasional trip to the bathroom during the day. As a mom I was really excited about this because I know my daughter doesn't always drink all of her milk at lunch and that meant she was really getting in a lot less liquid during the day then her body needs. I prefer for her to use a reusable water bottle like this Kid Kanteen from Klean Kanteen over a disposable water bottle that will end up getting tossed after a few uses. This way she always has one to use and I don't have to spend the money on bottled water. I'm sure the teacher appreciates it too because it's one less plastic bottle that's getting squeezed making noise during class. The Kid Kanteen is the perfect size at 12oz for my daughter to use at school, and we were even able to get a sport cap top so she doesn't even have to take the top off to drink from it. 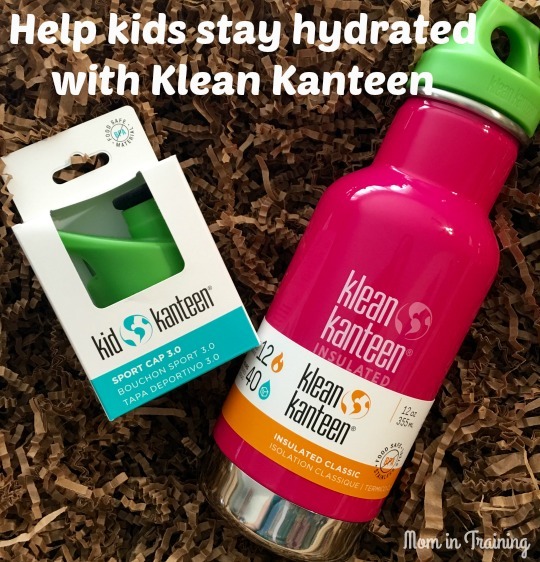 We love Kleen Kanteen, my daughter has been using them for about five or more years now. I bought her the stack of cups one year for Christmas too. She uses both the cups and bottles everyday- she takes them to her office and uses at home. We have a summer cottage and our water source is a well so they get filled up a couple times a day. My husband uses the really big size for coffe pot fill ups with the well water. We all use the bottles and love how easy they are to travel and clean.